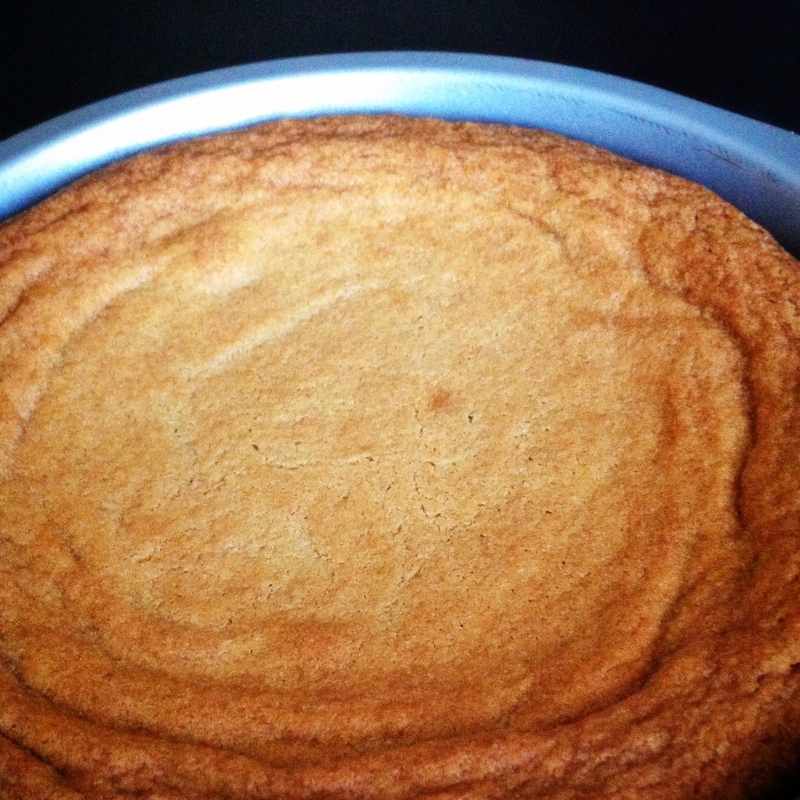 pizza cookie (pizzookie) | omfg. so good. Pizza + Cookie = Delicious. Unfortunately, both of my kids have been sick with various ‘bugs’ for what feels like two solid months, which means we haven’t gotten out much. Which also means no pizza cookies for mommy. So, to combat a 3 year old’s stir-craziness and my selfish craving for a warm, gooey pizzookie, Finley and I decided to whip up our own version at home. This was such a fun afternoon activity for my little buddy. Not only did he get to dig through the coveted baking drawer to pick out his own toppings, he also got to press the dough into the pan with his kid paws. Double fun. Pour the chocolate chips into a heat proof glass bowl. Microwave the cream for 15-20 seconds, then pour it over the chocolate and let it sit for a few minutes. Stir to combine and melt completely. (If there are a few remaining unmelted lumps, throw it in the microwave for a few seconds then stir until smooth.) Spread the sauce over the cooled crust. Before the chocolate sets, top with candies and other goodies. 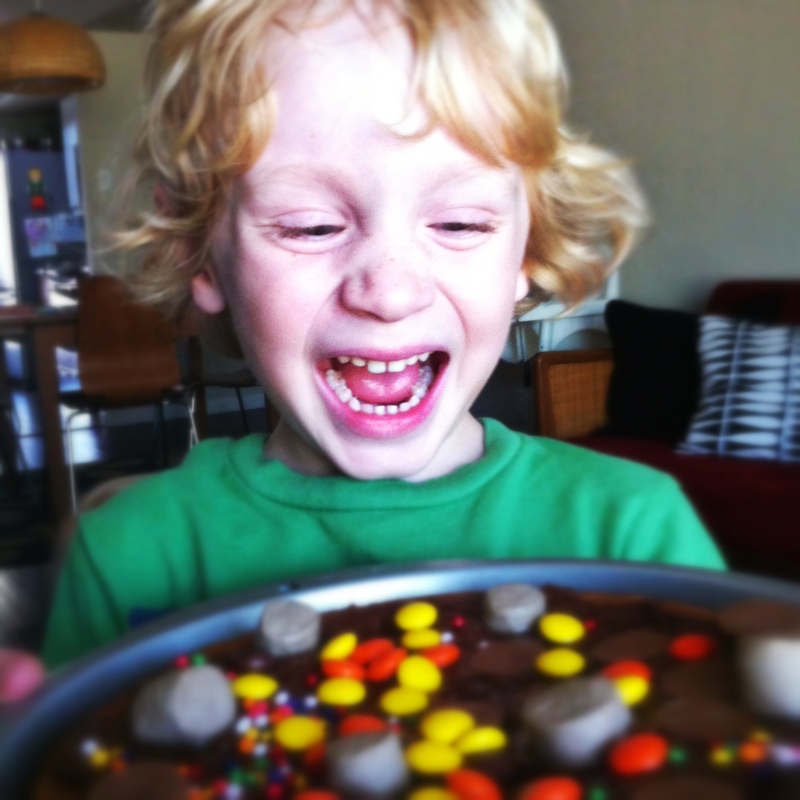 He went with Reese’s Pieces, mini peanut butter cups, chocolate marshmallows and crunchy candy jimmies. Feel free to mix-it up. I’m giving you a free pass to go bonkers, kids. Even if it meant I was stepping on rogue runaway jimmies for the next three days. 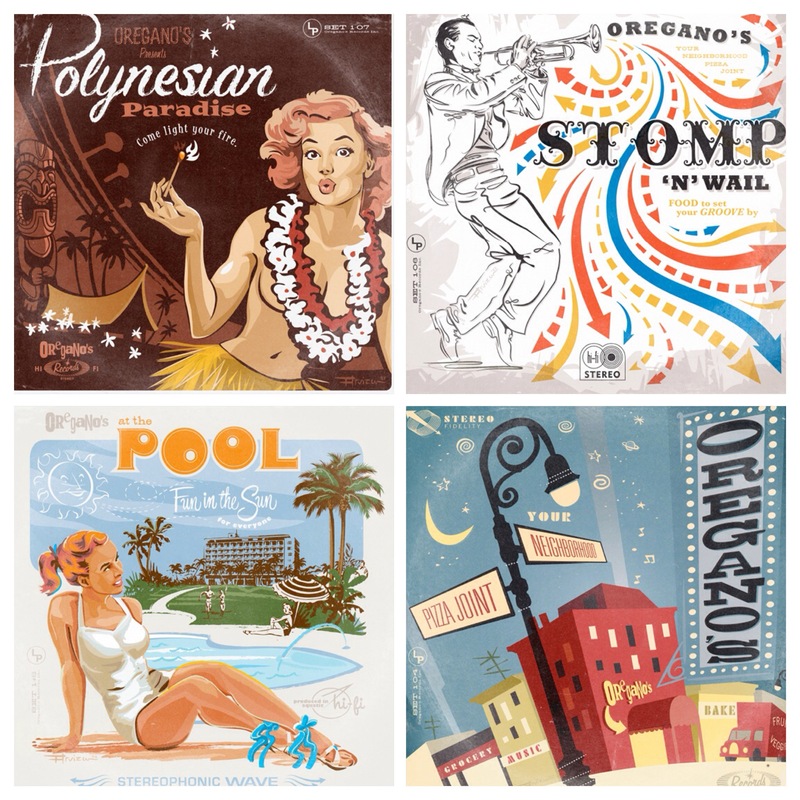 And, in case you’re curious, reason #2 we frequent Oregano’s: It also happens to be the place with the most visually delicious menu covers under the sun, custom illustrated in the aesthetic of vintage album covers by my very own, Baby Daddy. A Pizza cookie, 2 of my favorite things! Amazing use of color only a kid could come up with. Looks like theirs two pastry chef in the house! Thanks for sharing. Fantastic idea!! 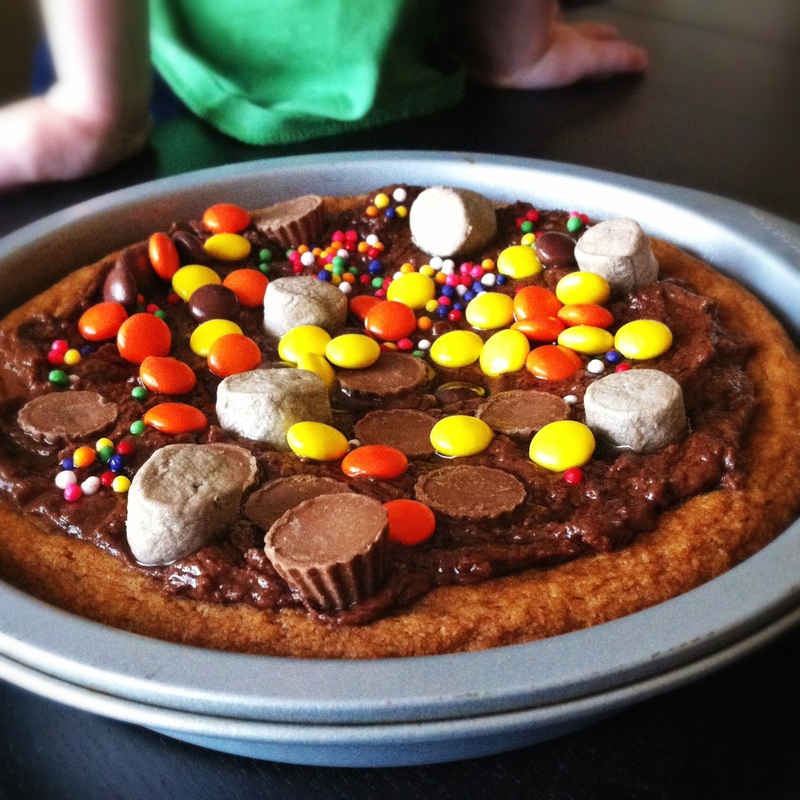 I made a breakfast “pizza” not too long ago… I’m going to have to try a cookie pizza now.